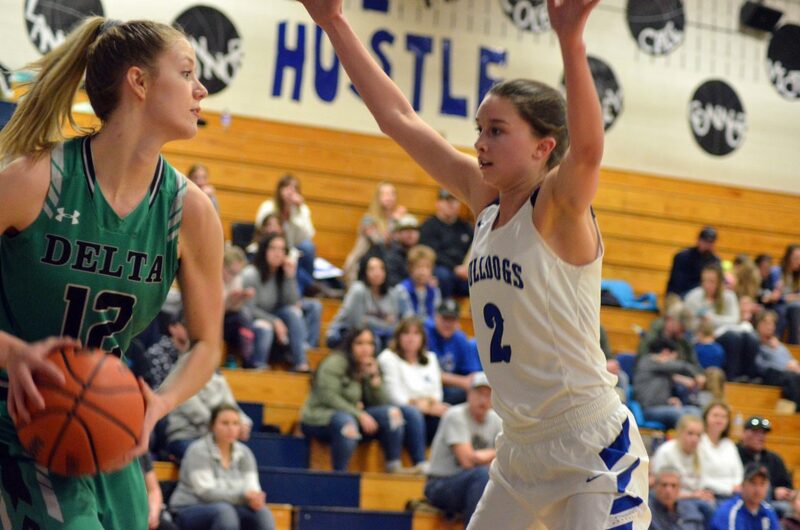 Moffat County High School's Halle Hamilton stays a step ahead of Delta's Haylin McCulloch. 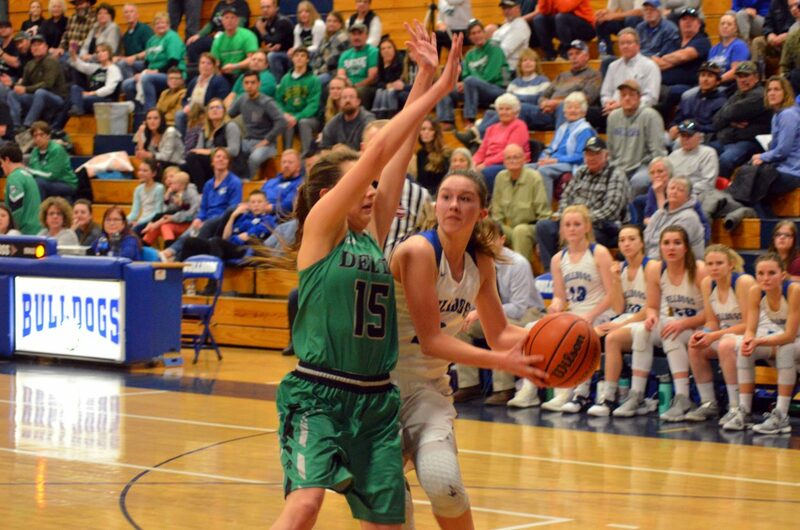 Moffat County High School's Halle Hamilton goes in for an underhanded layup against Delta. 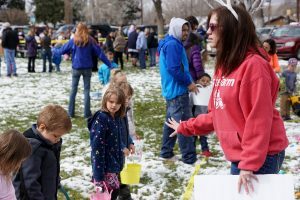 Moffat County High School's Emaleigh Papierski stays in Delta's face. Moffat County High School's Ryan Peck is set to pass against Delta. Moffat County High School's Logan Hafey looks to even up the score against Delta. Moffat County High School's Cale Scranton zips along the sideline against Delta. 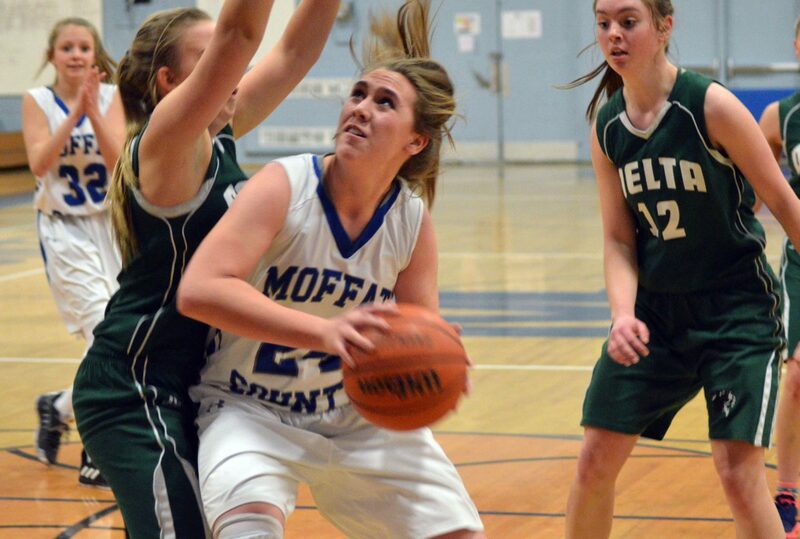 Moffat County High School's Jenna Timmer stays alert against Delta. 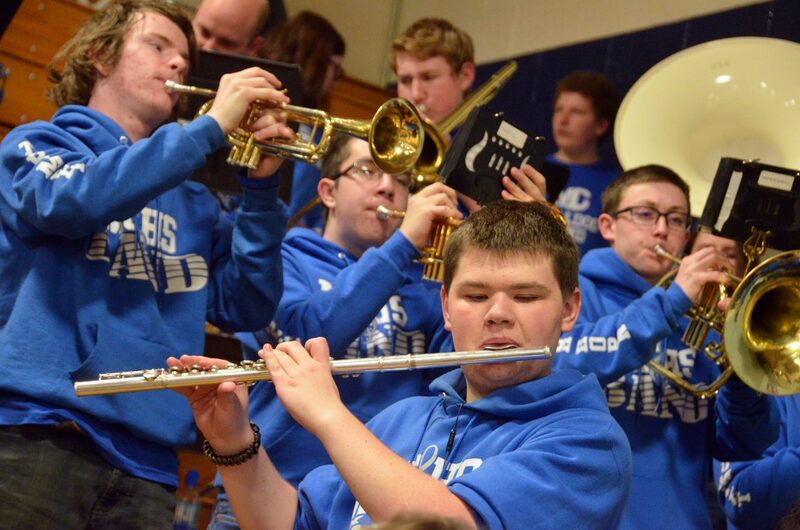 Moffat County High School students show their school spirit Friday night leading up to basketball games with Delta. Moffat County High School's Emaleigh Papierski leans for a shot against Delta. 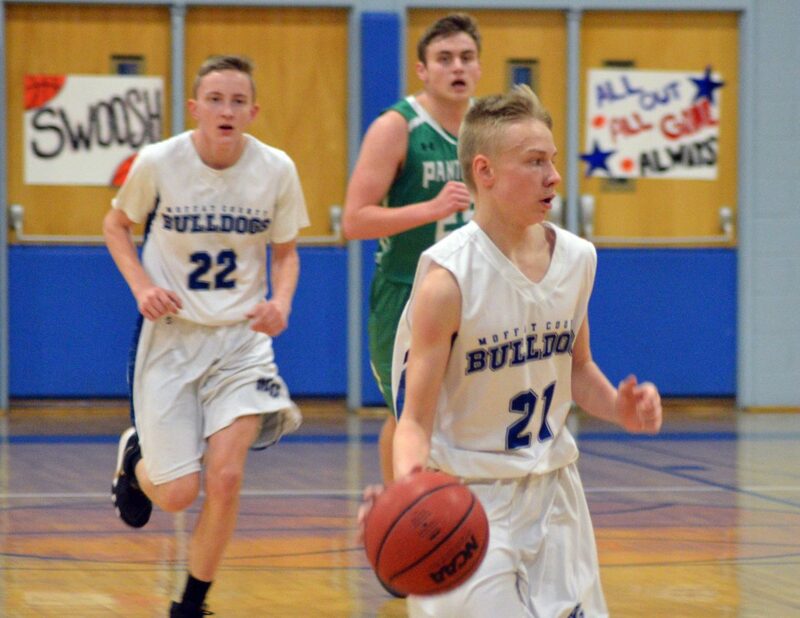 Moffat County High School's Chris Maneotis leads the Bulldog offense against Delta. Moffat County High School's Stephenie Swindler remains flexible as she looks to set up a play against Delta. Moffat County High School's Ryan Peck gets in gear against Delta. 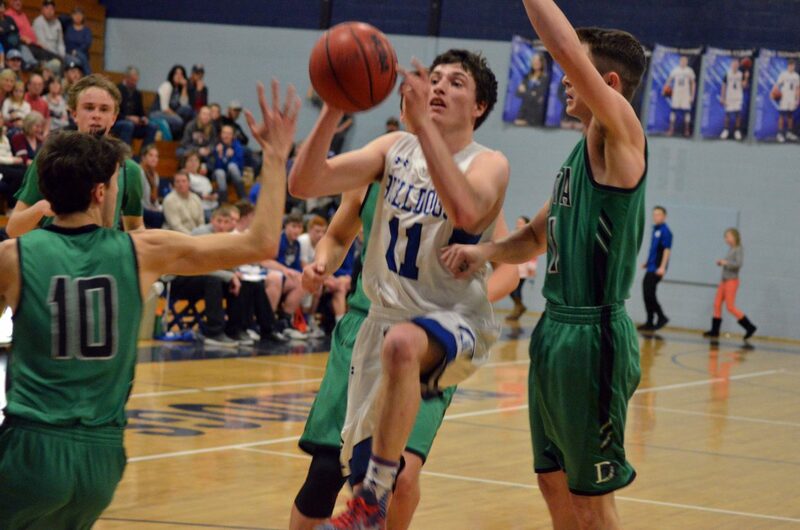 Moffat County High School's Torin Reed dribbles by the Delta bench. 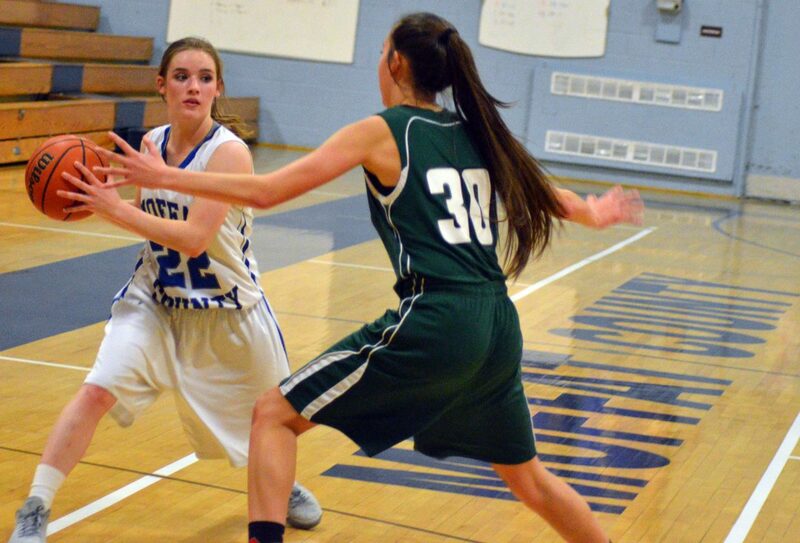 Moffat County High School's Brittnee Meats sets up the inbound pass against Delta. 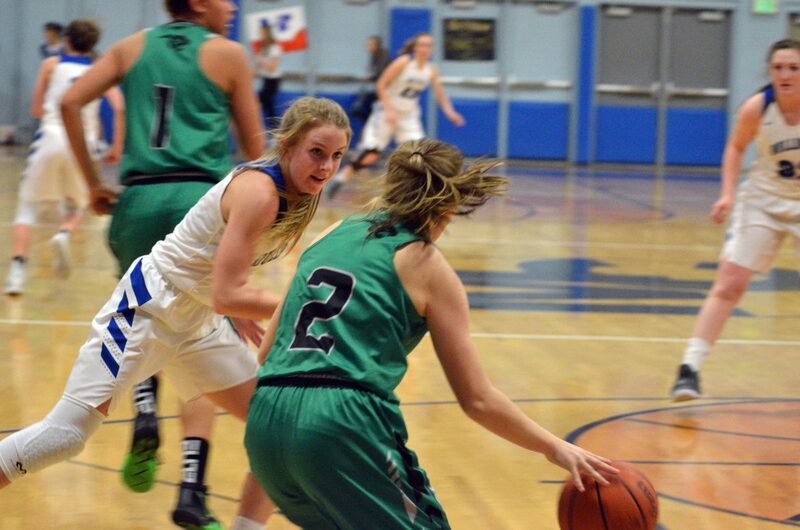 Moffat County High School's Madie Weber and Kinlie Brennise keep the defense going against Delta. Moffat County High School's Emaleigh Papierski and Brittnee Meats confer on strategy against Delta. Moffat County High School's Nick Crookston gets some air against Delta. 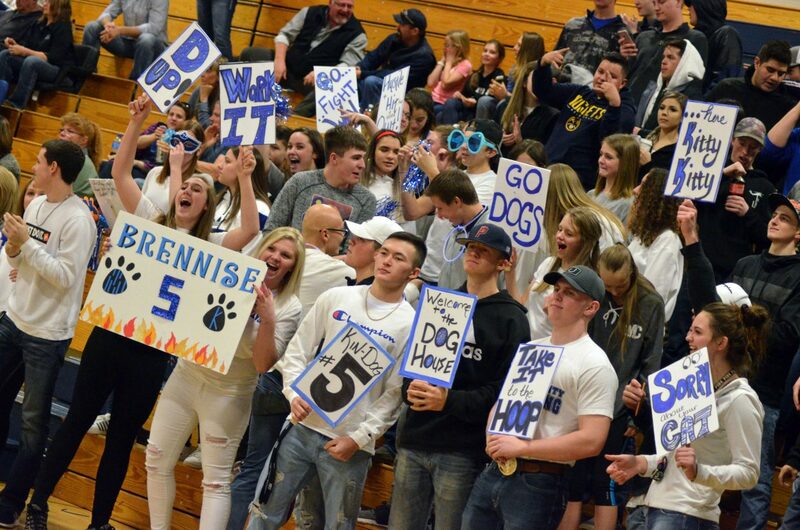 The Moffat County High School student section stays raucous against Delta. 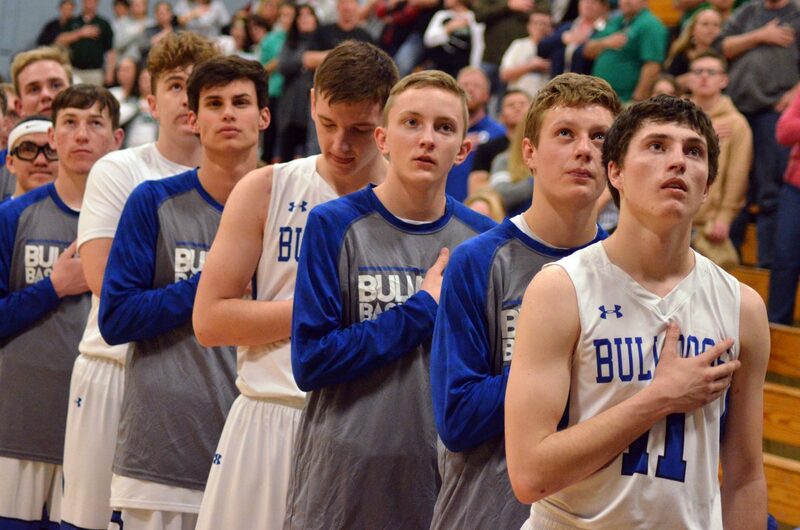 Moffat County High School boys basketball players observe the national anthem. 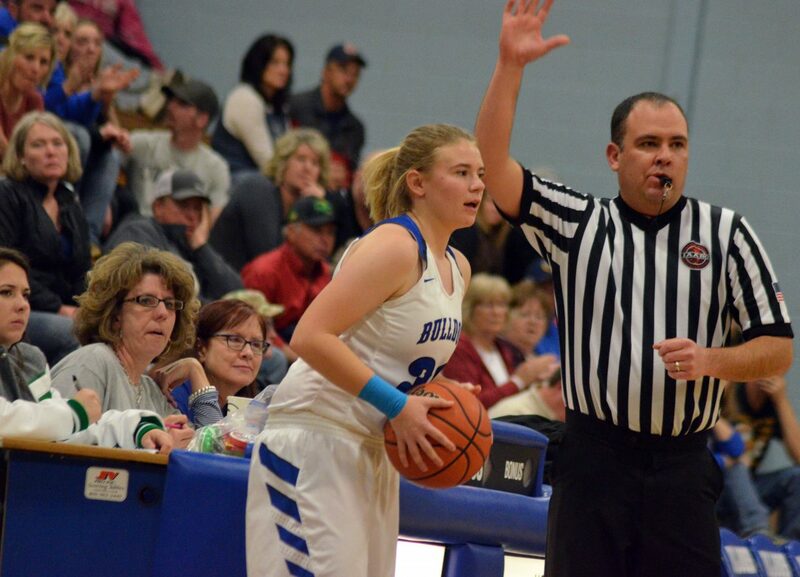 Moffat County High School's Kinlie Brennise is all alone at the foul line against Delta. 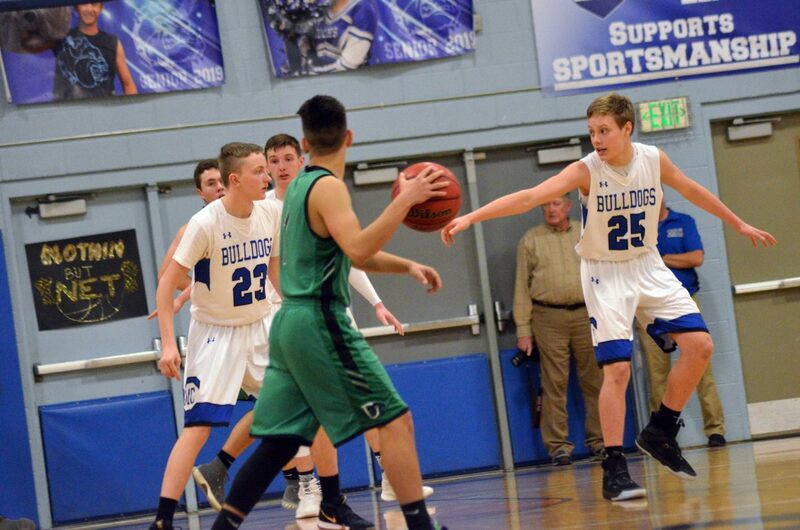 Moffat County High School's Bryan Gonzales protects the rock against Delta. 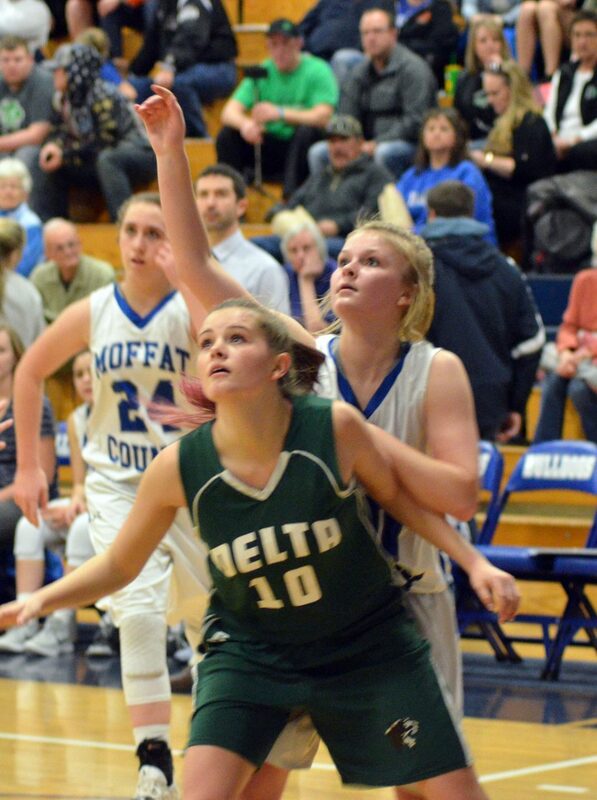 Moffat County High School's Madie Weber and Emaleigh Papierski bring the pressure against Delta. 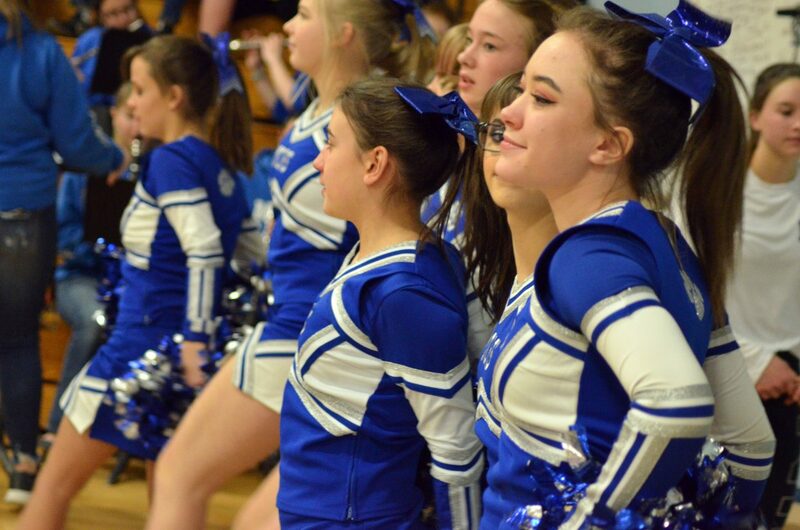 The Moffat County High School cheer team disperses as the Bulldog basketball game begins. Moffat County High School's Payton Voloshin looks to pass against Delta. Moffat County High School's Tanner Etzler draws a foul against Delta. Moffat County High School's Logan Hafey and Ryan Peck confer against Delta. 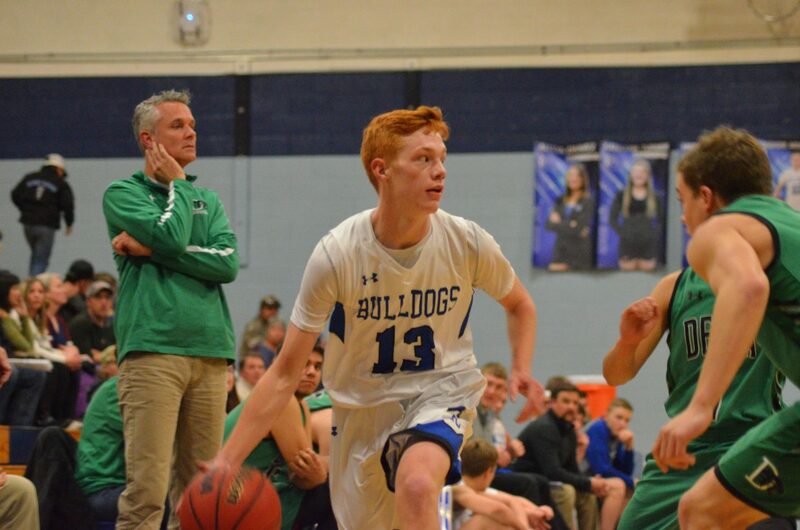 Moffat County High School's Jordan Carlson preps for a free throw against Delta. 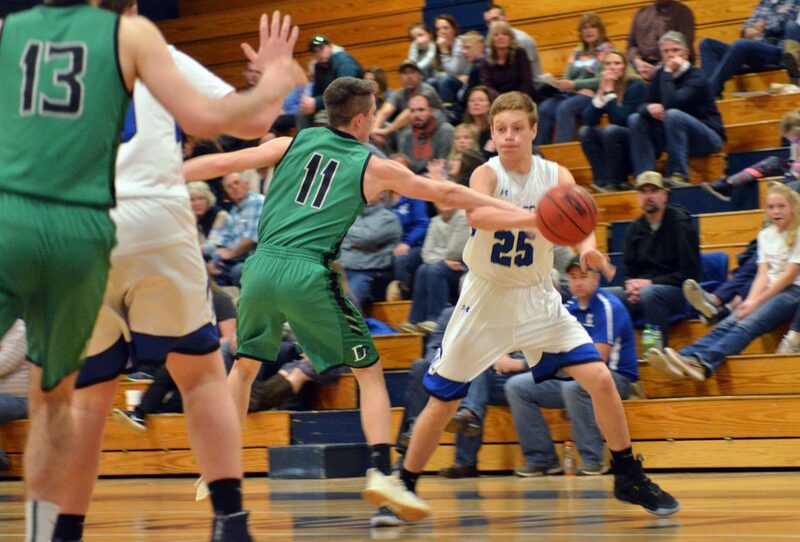 Moffat County High School's Torin Reed seeks to get a play in motion against Delta. 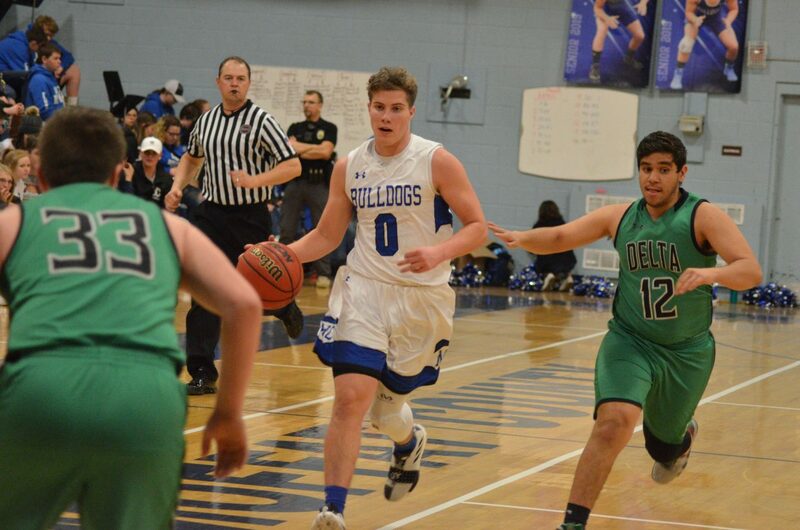 Moffat County High School's Tanner Etzler dribbles as he looks to get around Delta. 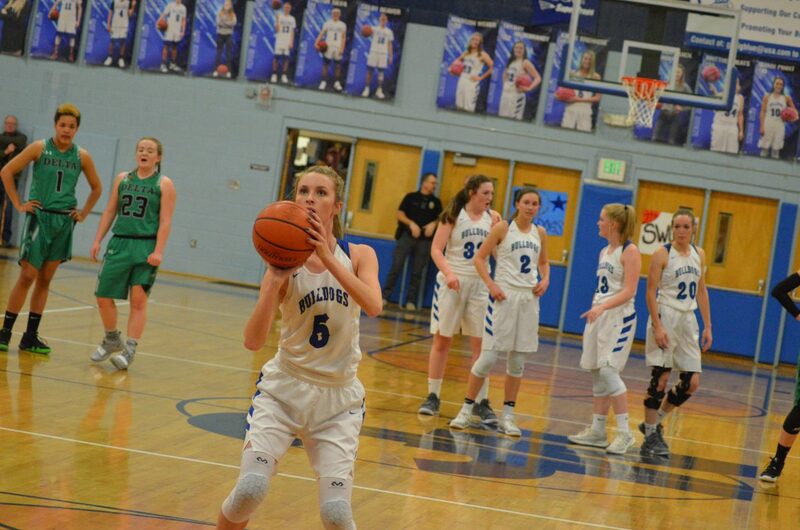 Moffat County High School's Jacie Evenson eyes her shot's trajectory against Delta. Moffat County High School's Jordan Carlson fires off a pass against Delta. 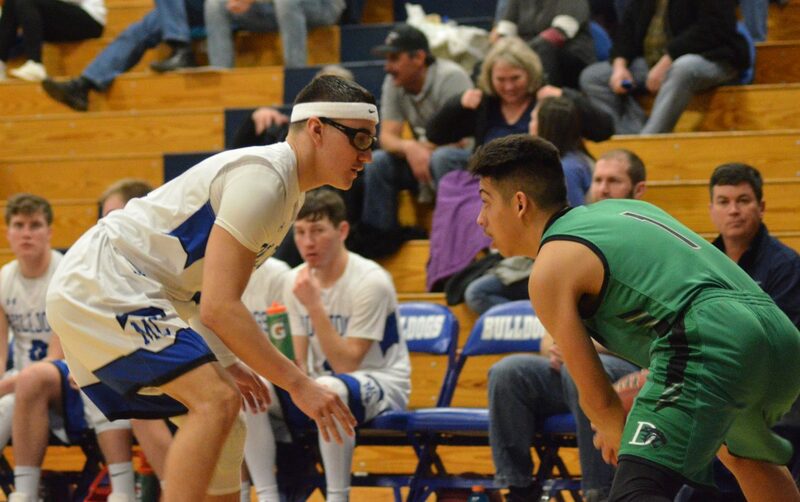 Moffat County High School's Victor Silva stares down Delta's Alexis Fausto. 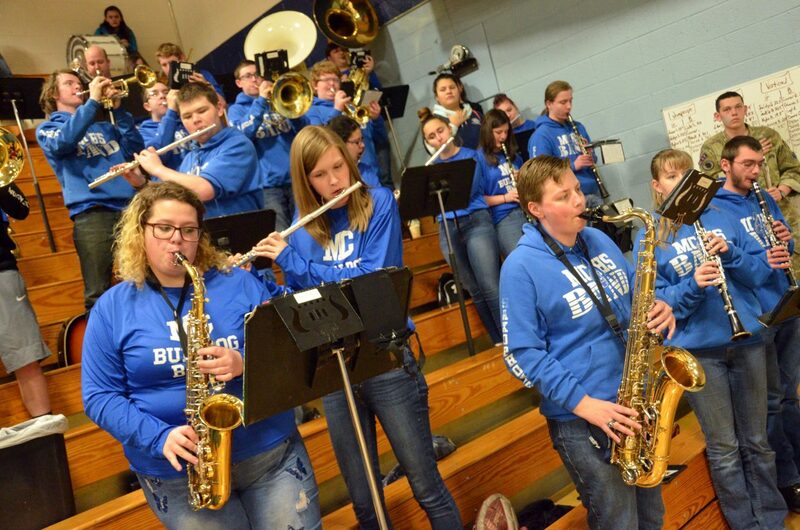 The Moffat County High School band performs the national anthem. 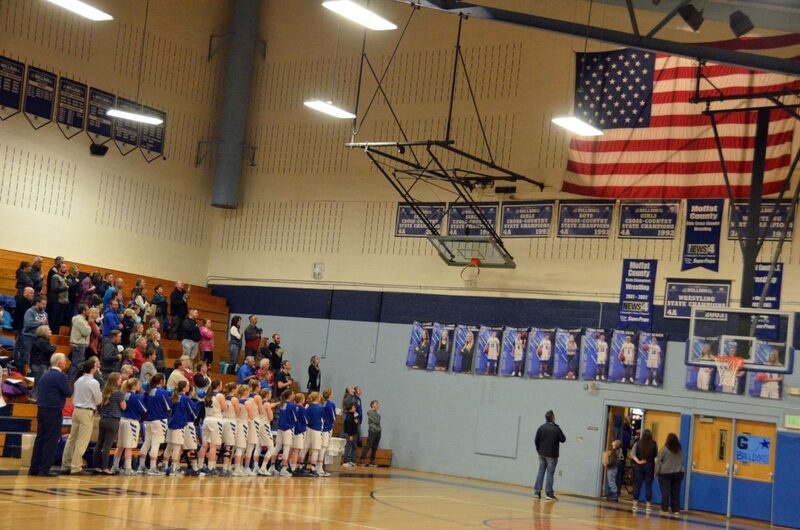 The Moffat County High School girls basketball team and crowd observe the national anthem. 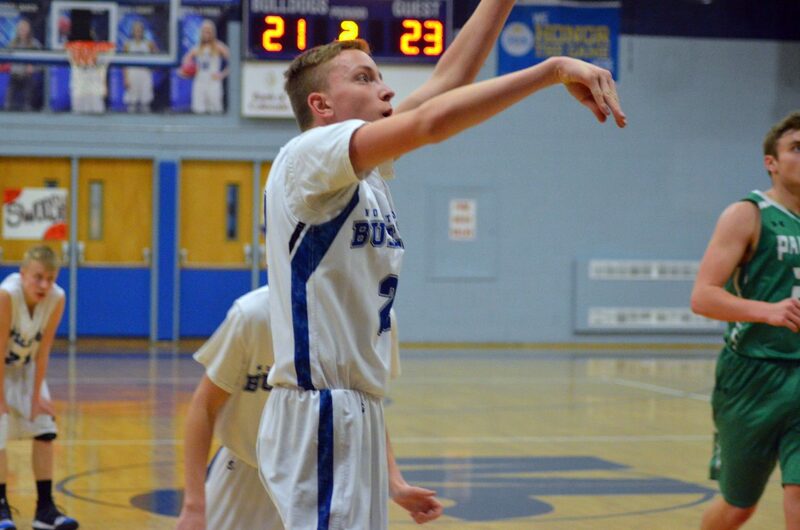 Moffat County High School's Logan Hafey launches a jump shot against Delta. 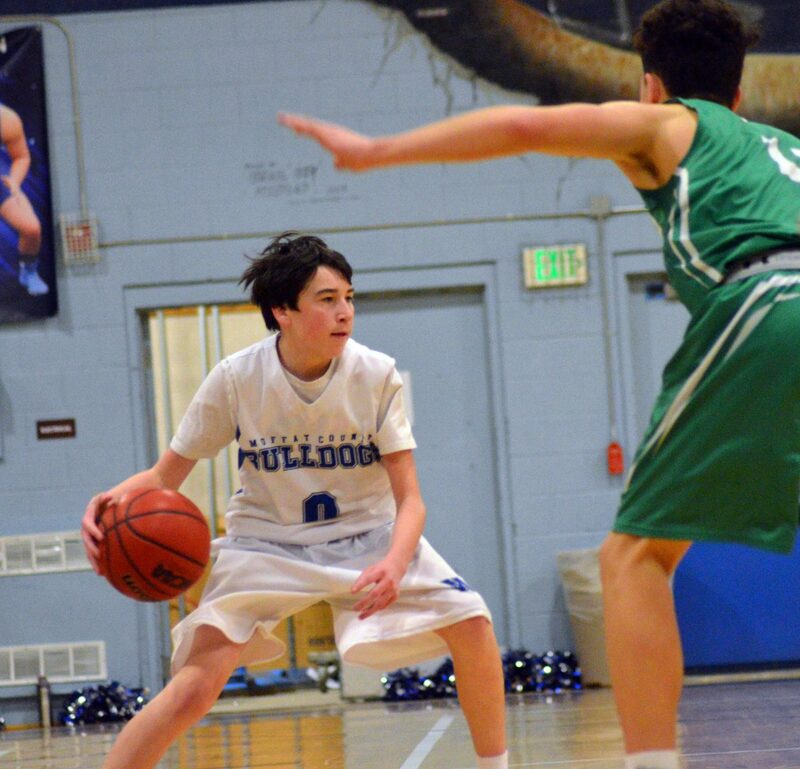 Moffat County High School's Landen Najera needs to get out of the corner against Delta. Moffat County High School's Connor Murphy fakes a layup before passing out against Delta. Moffat County High School's Amber Salazar forces her way forward against Delta. 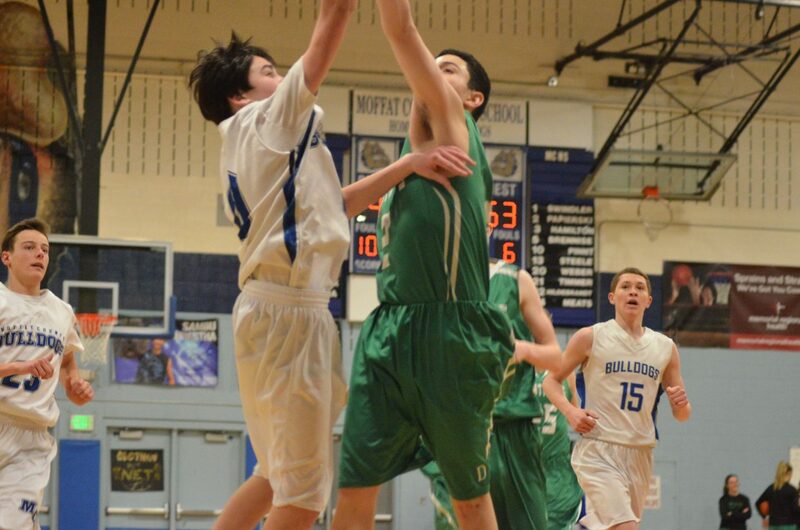 Moffat County High School's Jerod Chacon has a contested shot against Delta. Moffat County High School's Kinlie Brennise gets the ball moving against Delta. 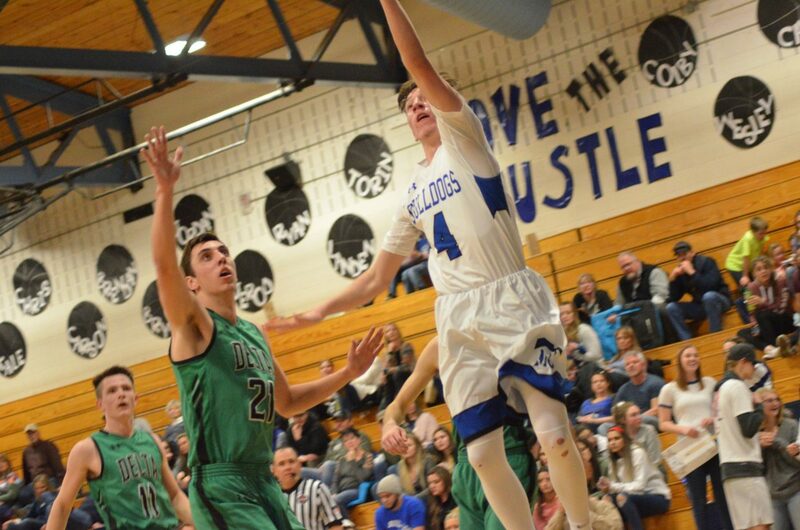 Moffat County High School's Cale Scranton centers himself at the free throw line. Moffat County High School's Connor Etzler leaps for a shot against Delta. 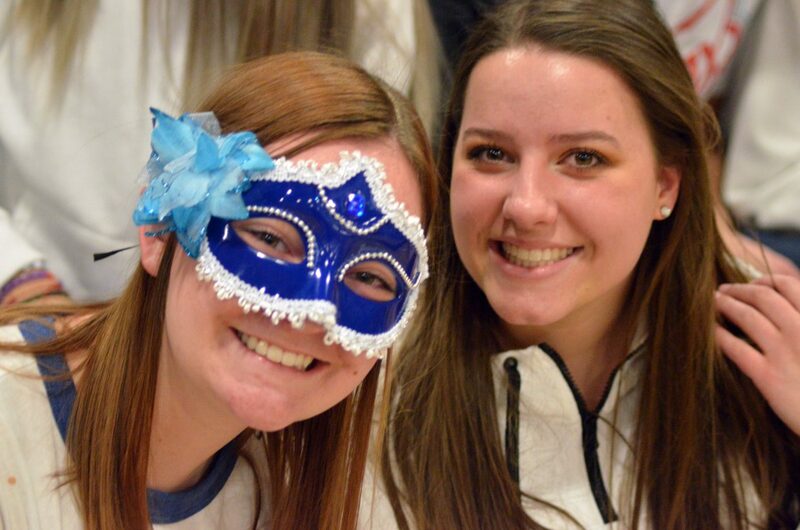 Moffat County High School's Terry Gillett and Ebawnee Smercina show their school spirit. Moffat County High School's Tiffany Hildebrandt hops to it after a steal against Delta. 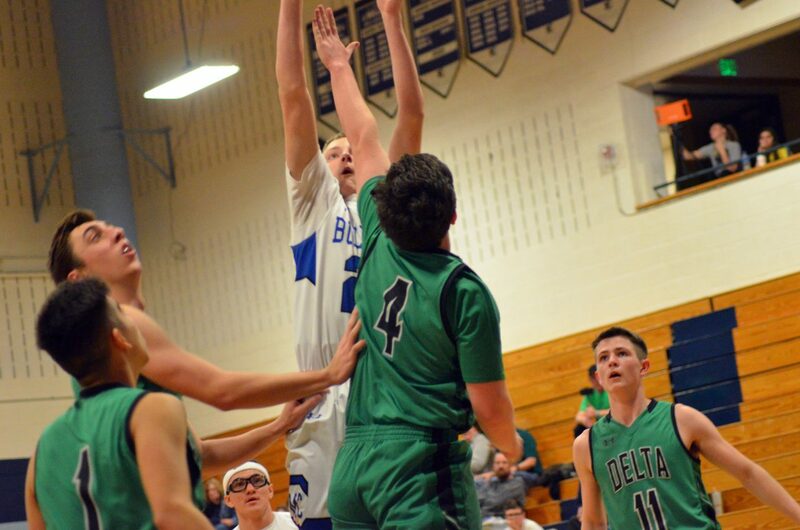 Moffat County High School's Brendan Beaver gets a shot past Delta. 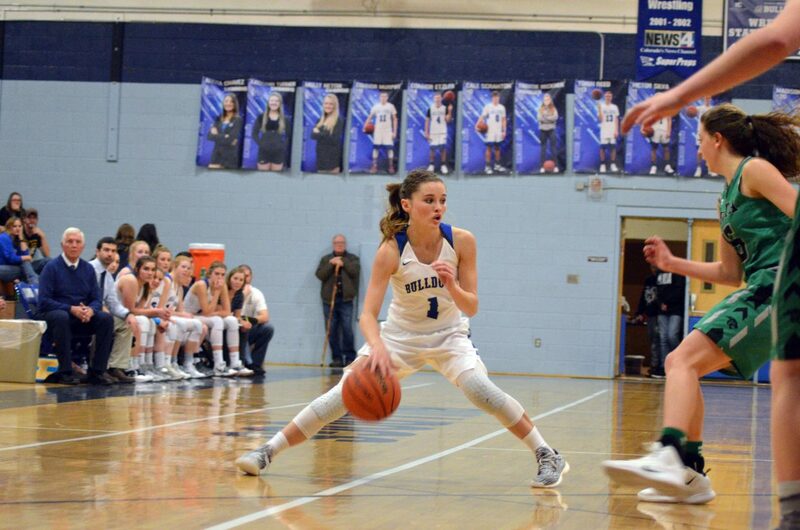 Moffat County High School'sTiffany Hildebrandt leads the offensive rollout on an inbound against Delta. 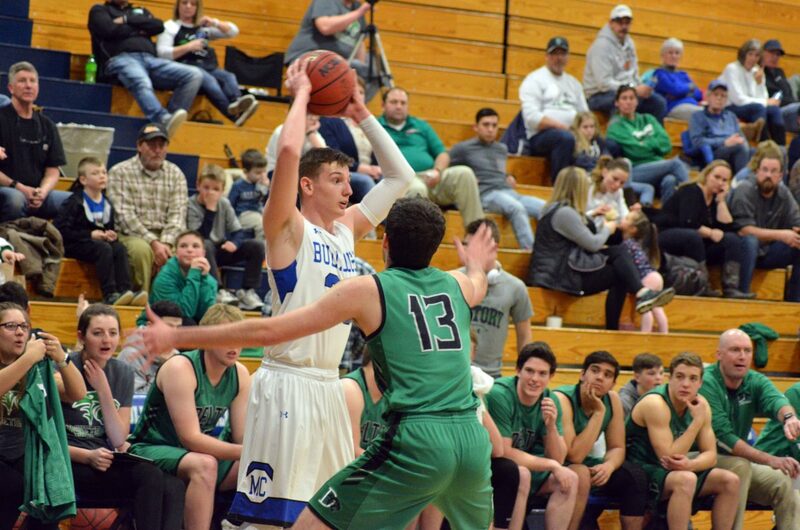 It’s been awhile since both Moffat County High School varsity hoops teams both saw defeat on the same night. And, while misery loves company, there’s little time for Bulldogs to dwell on what went wrong Friday night. 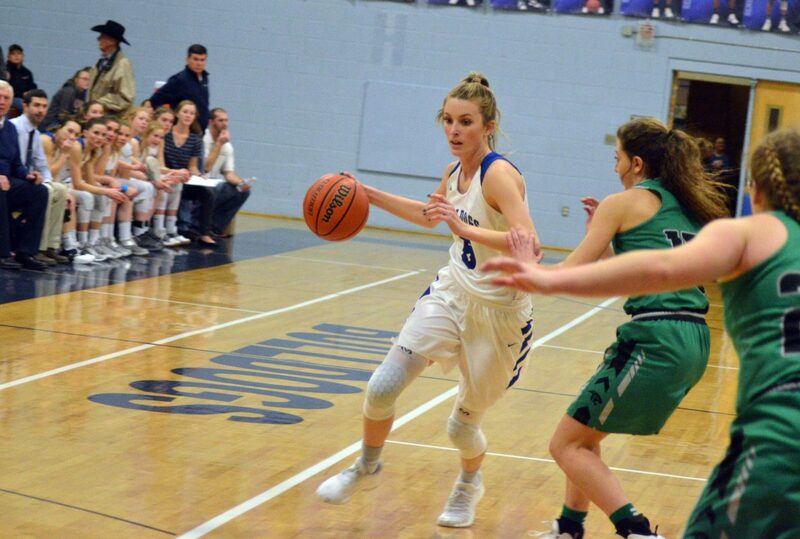 Facing the top 3A Western Slope League opponents, MCHS squads each took a hard loss at home against Delta as girls fell 49-43 and boys 67-29 to Panthers who came to Craig ready to play. For boys, it was just a matter of taking their lumps against the undisputed leaders of the conference as the visiting team had their minds on moving to a 6-0 WSL tally. A boys JV loss of 63-49 looked like an indicator that varsity would have their work cut out for them but still maintain a close game. Delta’s top tier apparently didn’t get the memo. John Ames quickly swished a three-pointer for the Panthers, and while Torin Reed responded with his own successful shot toeing the arc, it didn’t take long for Delta to gain a 10-point lead at 13-3, with a putback by Colby Beaver the Dogs’ only points for the rest of the first quarter, which ended 15-5. 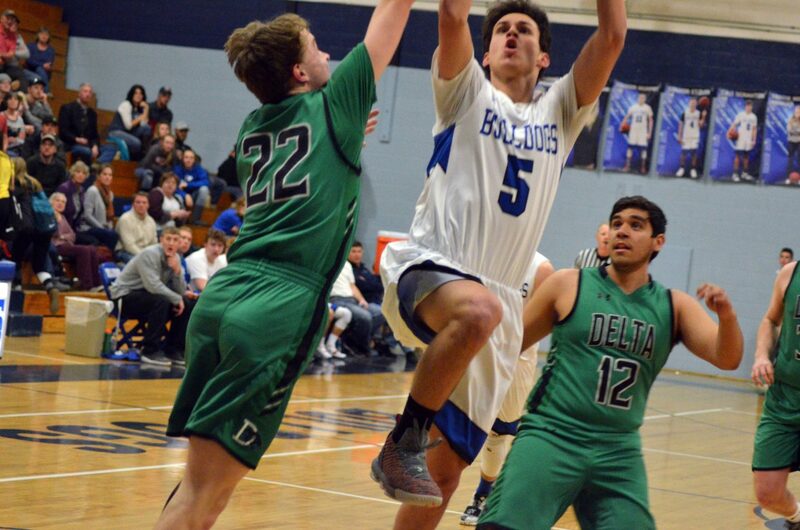 Jerod Chacon sank one from the corner to much applause to begin the second period, which led to a scoring drought on either end of the floor as teams’ defenses took over the pace. 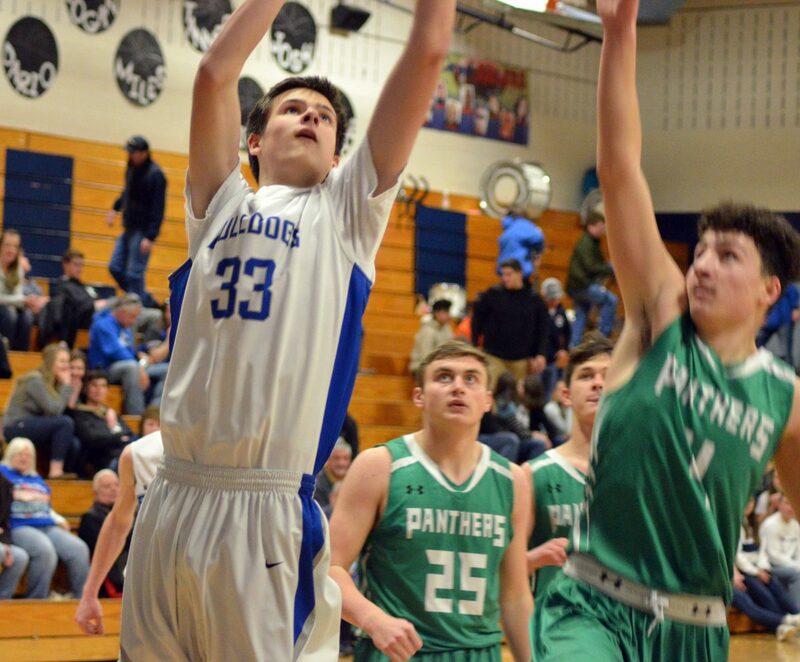 Coming out of a timeout with five minutes in the half, Delta caught their second wind, putting another eight straight points on the scoreboard, and while Connor Etzler put up one more MoCo field goal, the Panthers added 13 more points to make it 36-10. 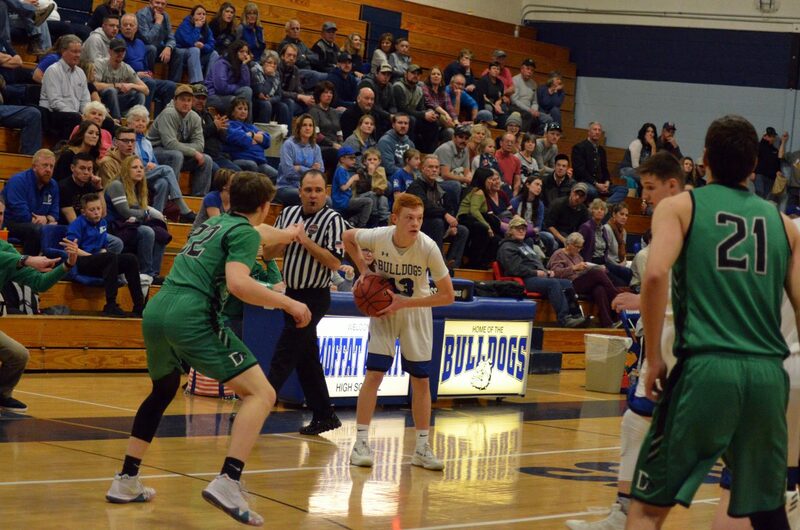 Landen Najera found more success in the paint by the second half, as Reed added another three and Jordan Carlson and Cale Scranton drew fouls, but Delta’s proficiency with a half-court press escalated their lead all the more, ahead 56-20 at the end of the third quarter. A slow pace and a fast clock ended the night somewhat mercifully with an 11-9 stretch as both teams rotated in most of their bench. 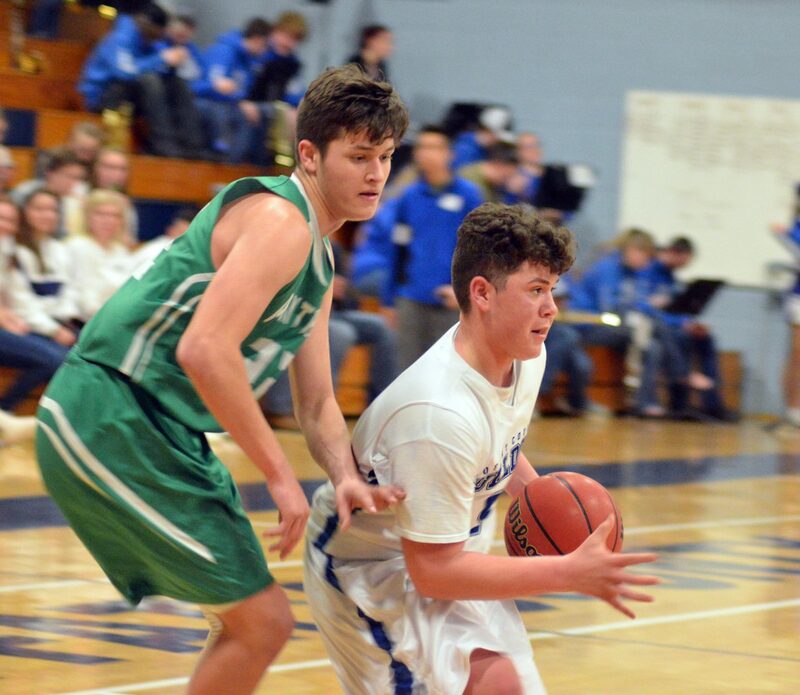 Ryan Peck noted the Panthers’ height was a factor in the loss — including 6′ 6″ Kyle Mock and 6′ 7″ Andrew Baier, who led in points with 12 — in which Delta rebounds under their own basket led to too many second-chance scores. 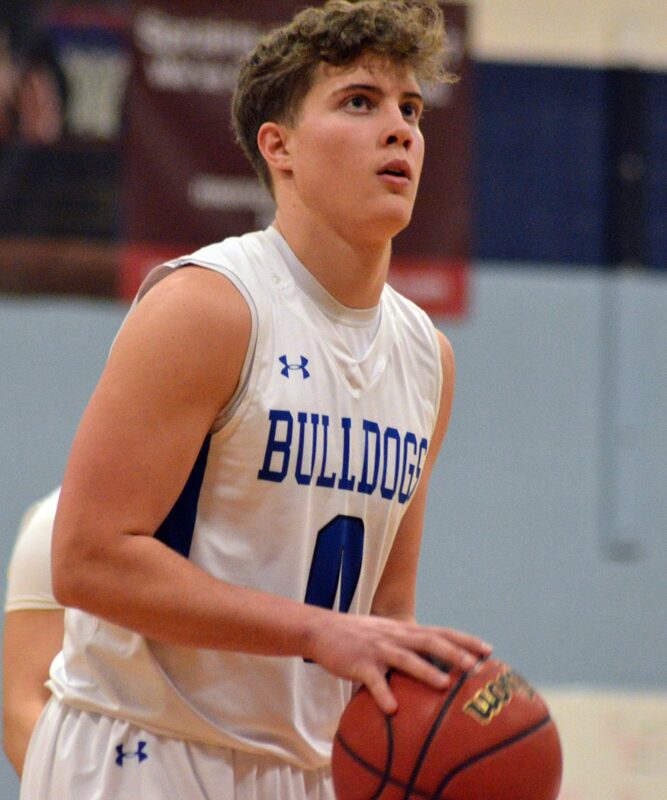 Chacon scored exclusively from outside to lead MoCo boys with nine points, as did Reed with a pair of 3’s, while Najera put up seven overall. 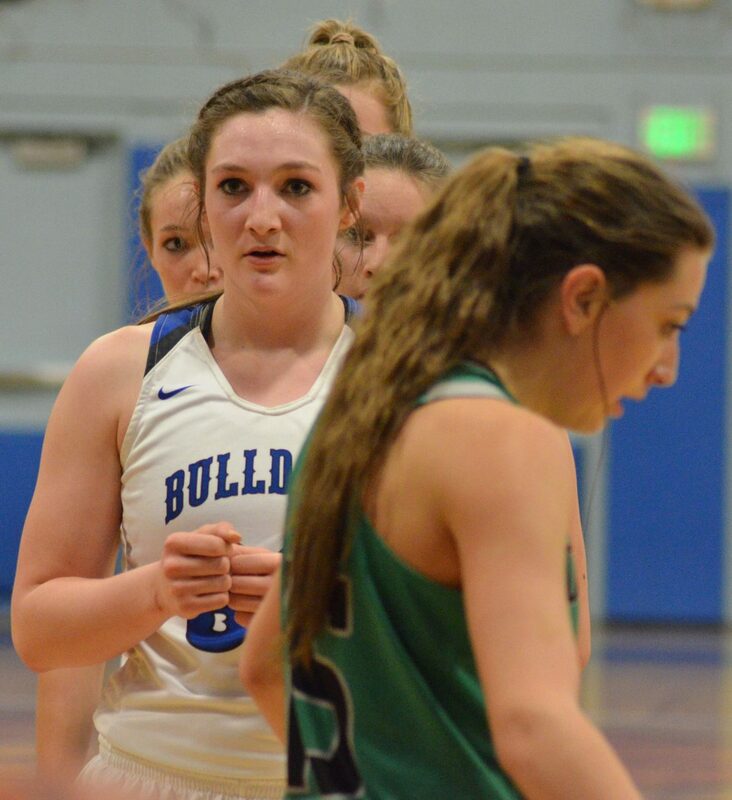 The string of Bulldog losses during the night didn’t start that way; girls JV began the run of games with a sizable defeat of the Panthers at 48-27. 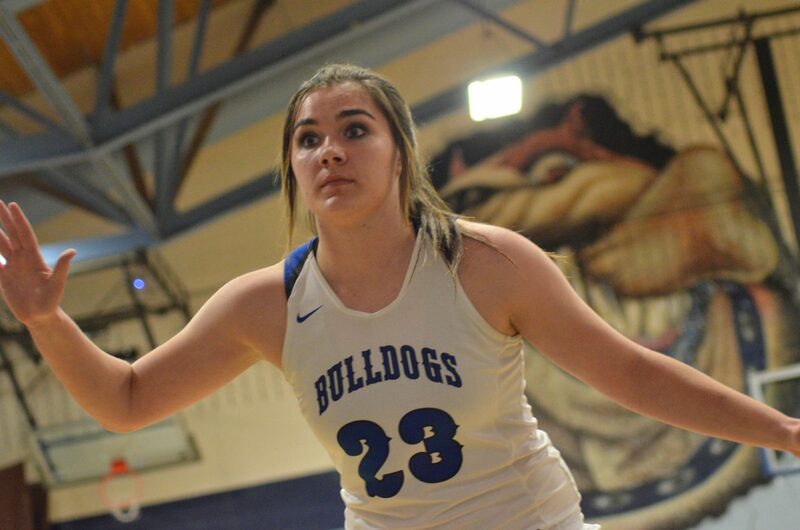 The extra energy didn’t hurt as Lady Dogs and the Panthers mixed it up with the WSL title on the horizon, and though a physical first quarter began with early 3’s by Delta’s Keely Porter, the gym exploded with spectator cheers as Halle Hamilton furthered her own count as the top triple-shooter in the conference with a downtown shot right at the buzzer. 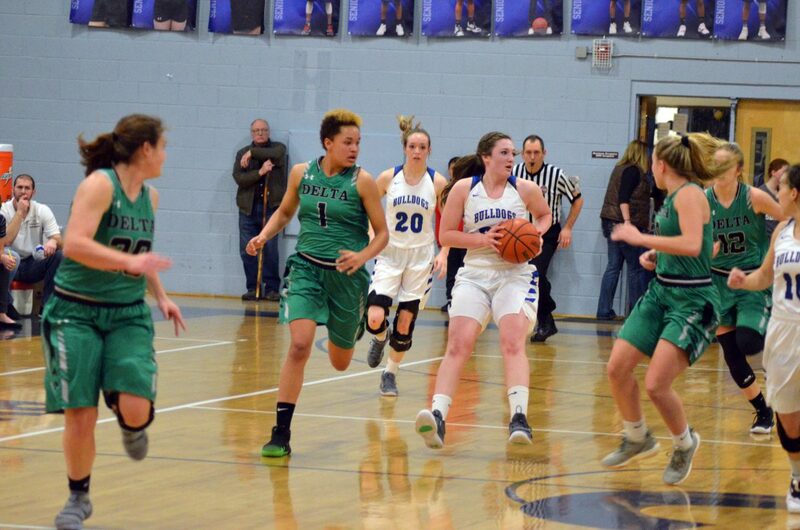 Behind just a smidge at 10-9 in the first period, MoCo girls owned the second after a rocky start, as Kinlie Brennise drew multiple fouls, including a flagrant against the Panthers, as well as sinking two big buckets from long distance during a 14-point night. 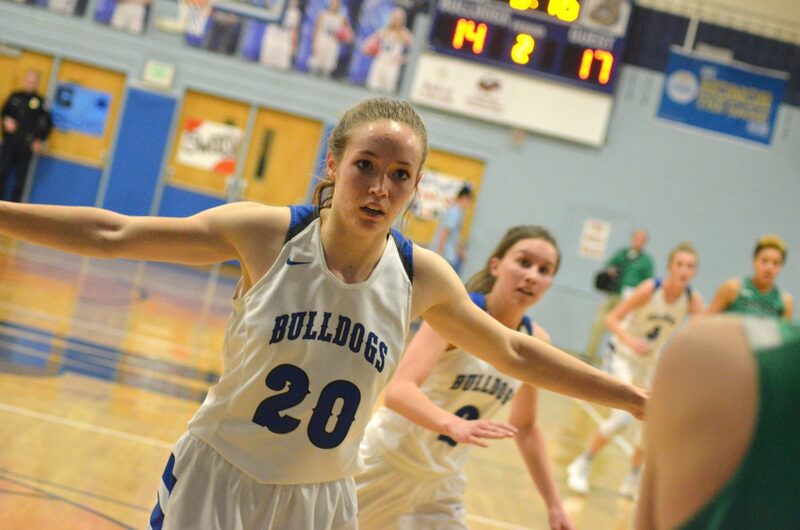 With Jaidyn Steele creating enough turnovers to change her name to Jaidyn Steal, Tiffany Hildebrandt went to work beneath the rim, and Madie Weber did the same from longer range, while another Hamilton tré brought the Dogs to a 26-20 lead at the break. Having only lost once this season, 14-1 Delta girls came out of the locker room having firmly decided No. 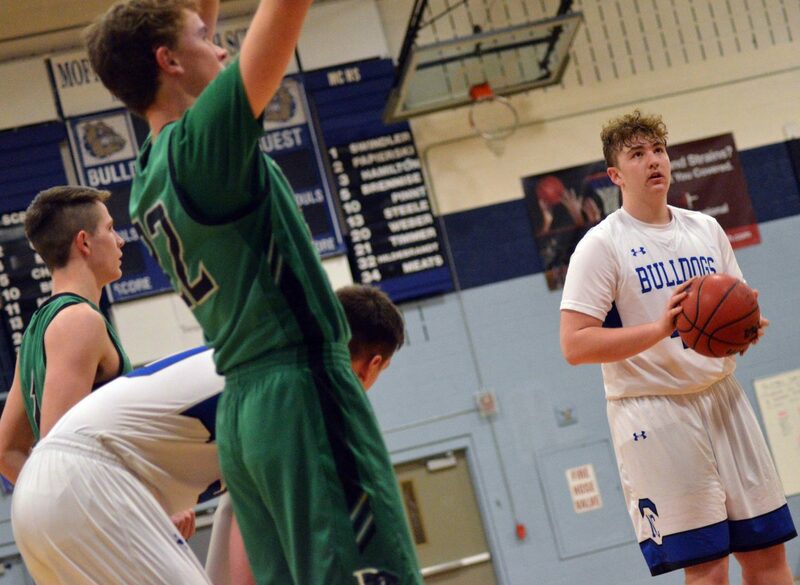 2 wouldn’t be happening, the two sides keeping the margin narrow to begin the second half as Panther defense pounced on every opportunity to disrupt the Dogs’ passing flow, keeping them frazzled and slowly catching up with free throws and smart inside shooting. 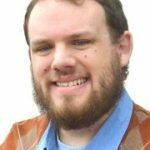 “They came back so much stronger and really took us out,” Steele said. 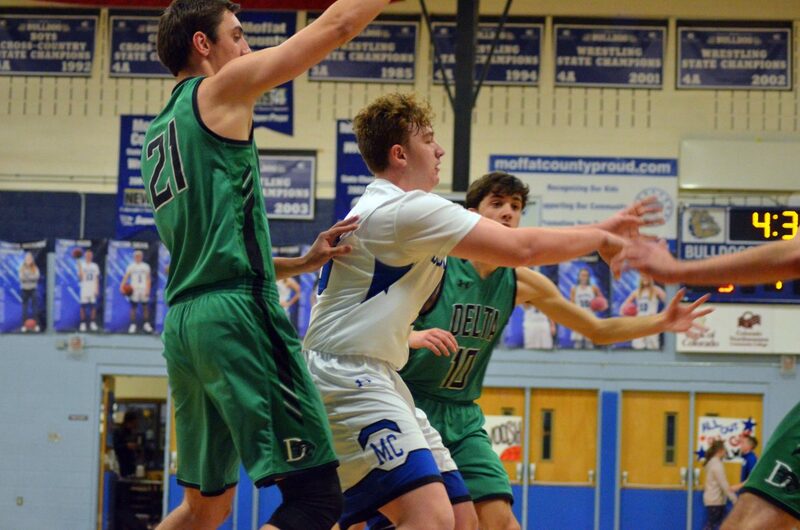 Delta overtook MoCo at 36-35 with 2:30 left in the quarter and quickly added six more points for a 42-35 advantage heading into the last eight minutes. 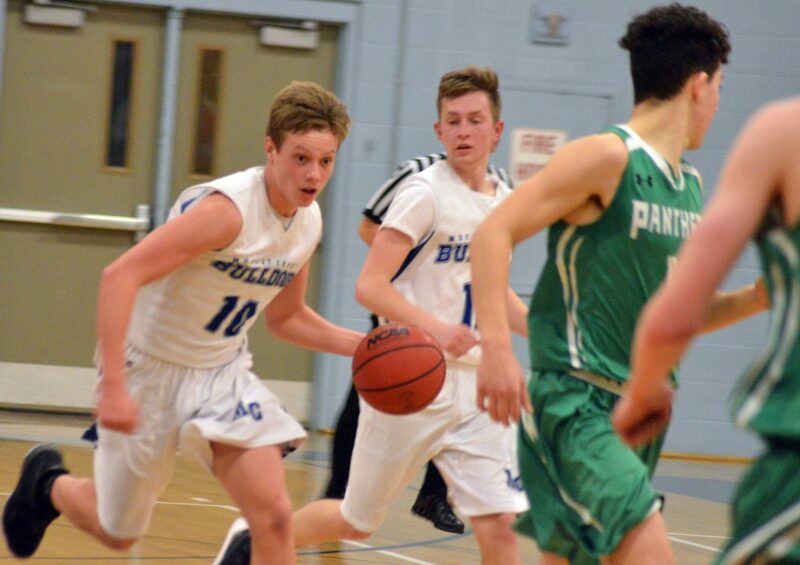 The Panthers didn’t nail a single regular shot in the fourth period, but they didn’t have to as the Bulldog D sent them to the line repeatedly. 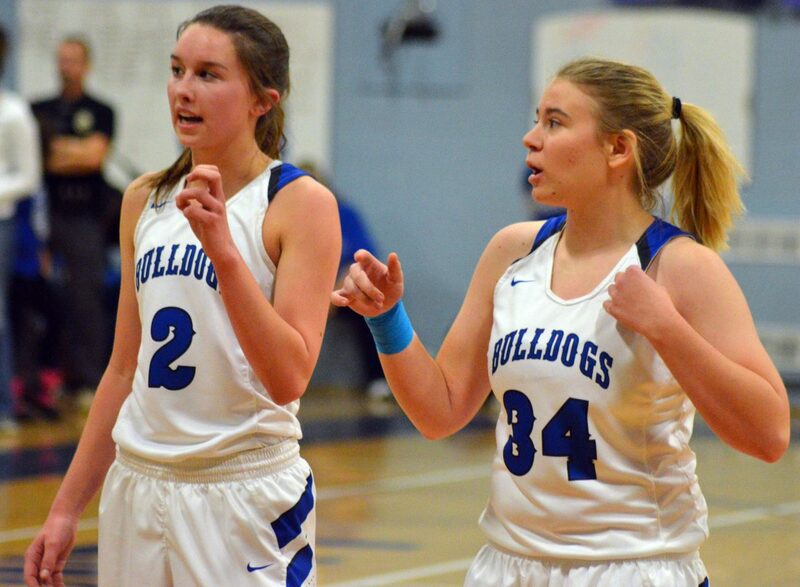 Weber and Emaleigh Papierski had the sole scoring late in the game, bringing the Lady Dogs within four points, only for Delta’s keepaway tactics to prevent any last-minute comeback. 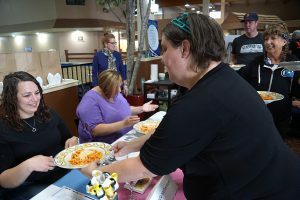 “I think we lost a lot of energy, and there wasn’t a lot of communication,” Brittnee Meats said. 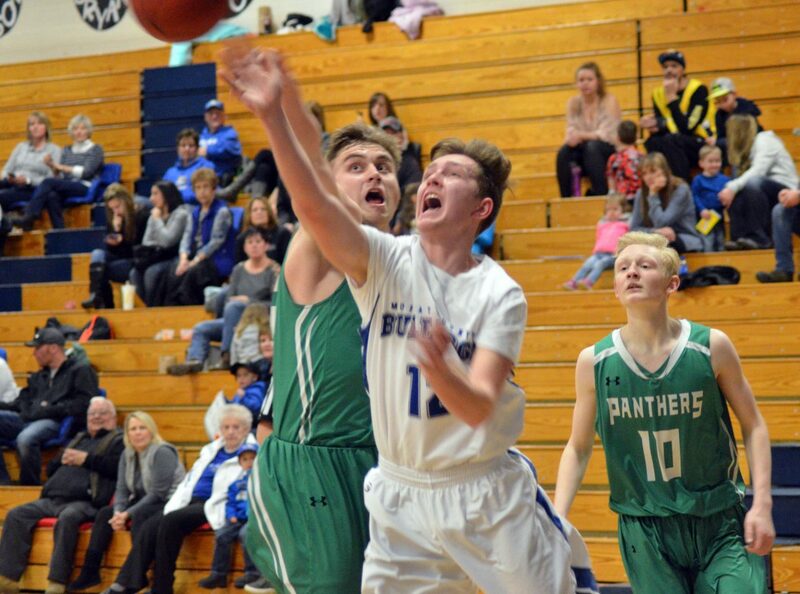 The Panthers moved back to second place in 3A basketball’s RPI standings, and are likely to take the conference title with the win, now 6-0. 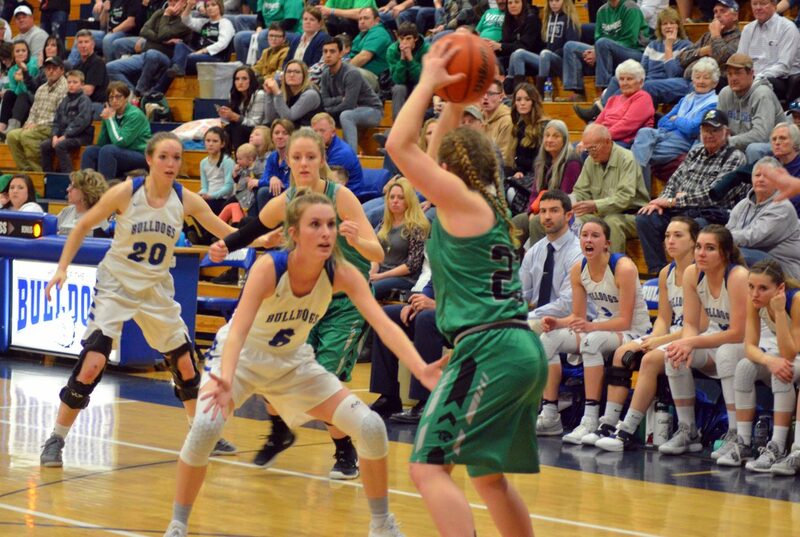 MoCo girls (11-4 overall, 5-1 WSL) aren’t completely out of the running to retain their league honors, as the possibility remains that Delta could fall to their three remaining league opponents — Aspen, Olathe, Gunnison — but the crown is only part of a larger picture. 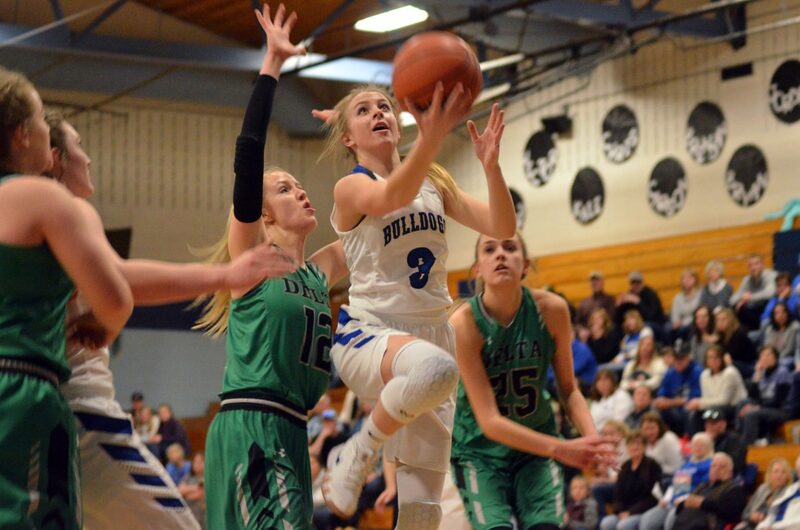 The loss against Delta plays into a familiar pattern for the Lady Bulldogs, who have not swept the WSL in any of the last six seasons, yet each time the Craig team claimed the district championship during the postseason tournament. 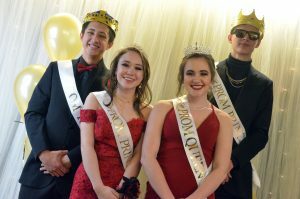 Three of those six seasons also included a league title, but a defeat late in the regular schedule has regularly signaled the team’s latest phase as they regroup and return to glory. Meats and Steele agreed that not winning at this point can be just as valuable later as they prepare to improve. 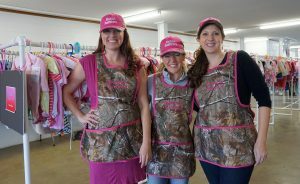 “It’ll definitely give us that motivation,” Meats said. 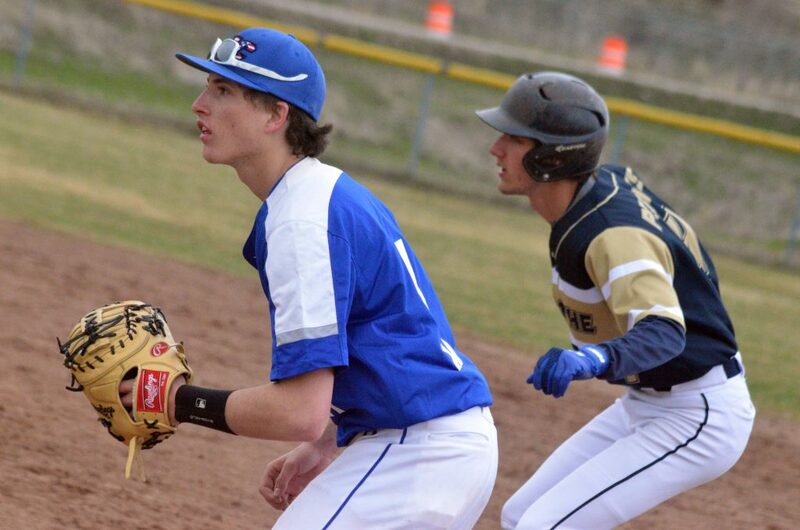 MCHS teams play Saturday in Aspen.